Ah the old elusive charm of American brands… so much more tantalising when you can’t easily get hold of the products. 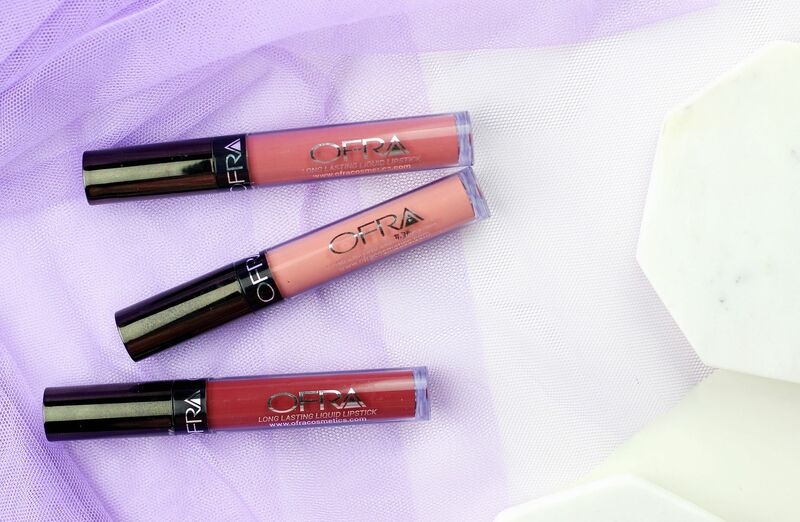 Ah well, these are worth lusting over from afar, as the Ofra liquid lipsticks are something special. I’m not the biggest fan of colabs, but I was interested in this Manny mua trio because I am a fan of Manny’s channel and all of these shades looked dreamy. 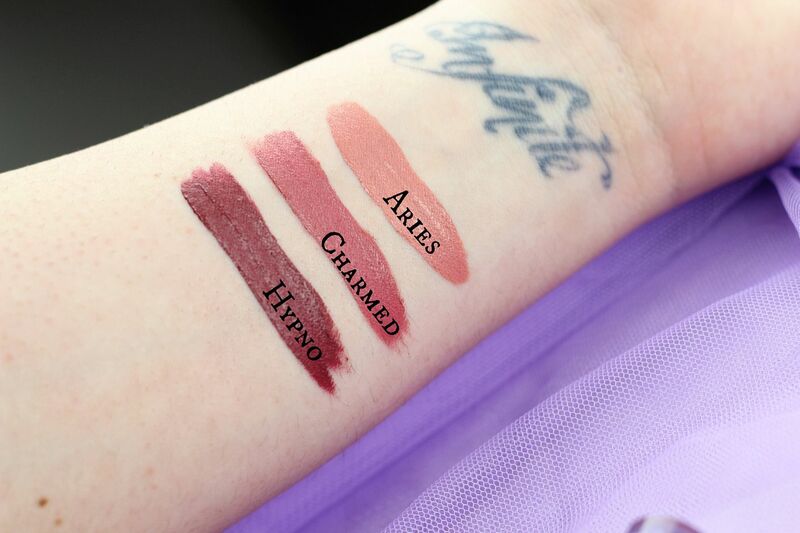 Aries is a gorgeous brightening peach, Charmed is a pretty rose and Hypno is a berry with a slight nineties vibe. The formula on these is what makes these – they have such a thin, mousse-y texture that spreads onto the lips with ease and it also dries down so swiftly that you can’t really even feel it on the lips. Smooth to apply, with an obnoxiously sweet vanilla/cupcake smell. By the end of the day, my lips feel a little dry but I absolutely love these. It reminds me of the Nyx soft matte lip creams, but the Ofra offerings are what I wanted the Nyx to be… longer lasting and a better formula.